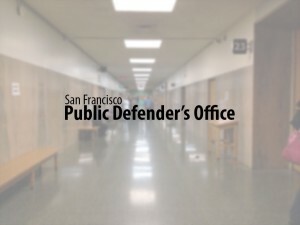 San Francisco, CA — A 29-year-old man accused of stealing property from a Marina District club patron was acquitted Thursday afternoon after jurors rejected a police officer’s account of the incident, San Francisco Public Defender Jeff Adachi announced today. Jury members deliberated one day before finding Iatua Faituala not guilty of receiving stolen property and petty theft, both misdemeanors. The verdicts followed a two day trial, said Faituala’s attorney, Deputy Public Defender Prithika Balakrishnan. Faituala, a San Francisco resident, was arrested Nov. 29, 2010 after a confusing encounter with a stranger as he arrived at the MatrixFillmore club. As Faituala exited his cousin’s car, a young man asked him if he wanted to smoke a joint. Faituala agreed. The man then handed Faituala a set of car keys and identified an SUV parked in front of the club as his vehicle. He asked Faituala to retrieve from the vehicle a “Swisher” cigar from which to smoke the marijuana. As Faituala entered what he believed was the stranger’s SUV, he was confronted by the vehicle’s true owner, a 38-year-old woman who had returned to her table from the dance floor earlier in the evening to find her jacket, wallet and car keys stolen. When police arrived, the man who had apparently set up Faituala had fled. One of the responding officers reported finding the victim’s credit card in Faituala’s pocket, but never called in the find to dispatch nor filled out a property receipt. None of the other officers on the scene witnessed the victim’s credit card in Faituala’s possession, Balakrishnan said. During the trial, jurors were shown the dispatch record revealing that responding officers patted Faituala down and handcuffed him without finding the credit card on his person. The officer who later claimed to have found the credit card arrived on the scene 20 minutes later. Adachi praised the jury’s decision. “Often, the word of a police officer is taken at face value over that of a regular citizen, but this thoughtful jury based its decision on the facts and evidence,” Adachi said.